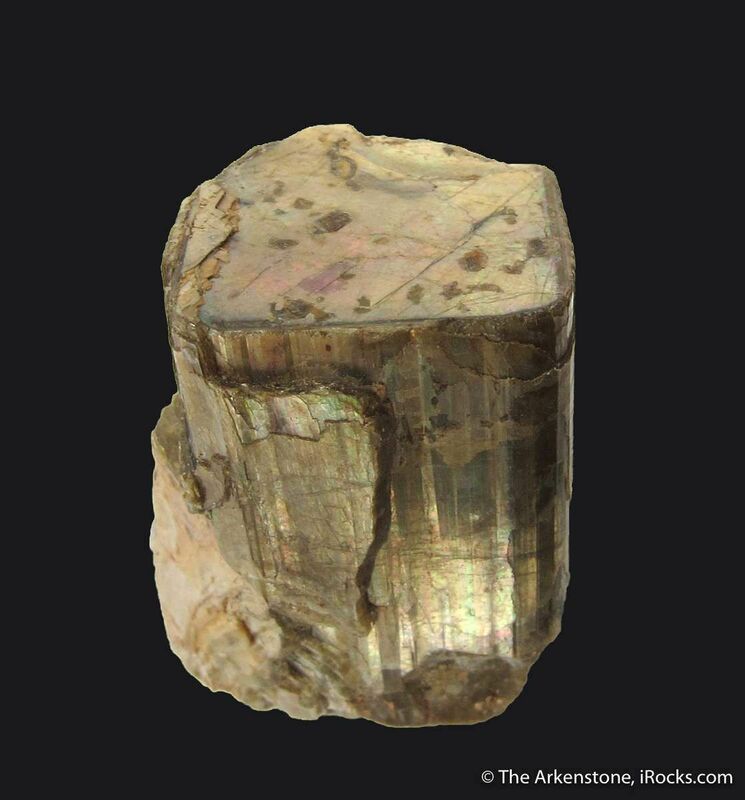 Exceptionally large for the species, this may very well be the finest Gehlenite specimen I have seen, from anywhere. 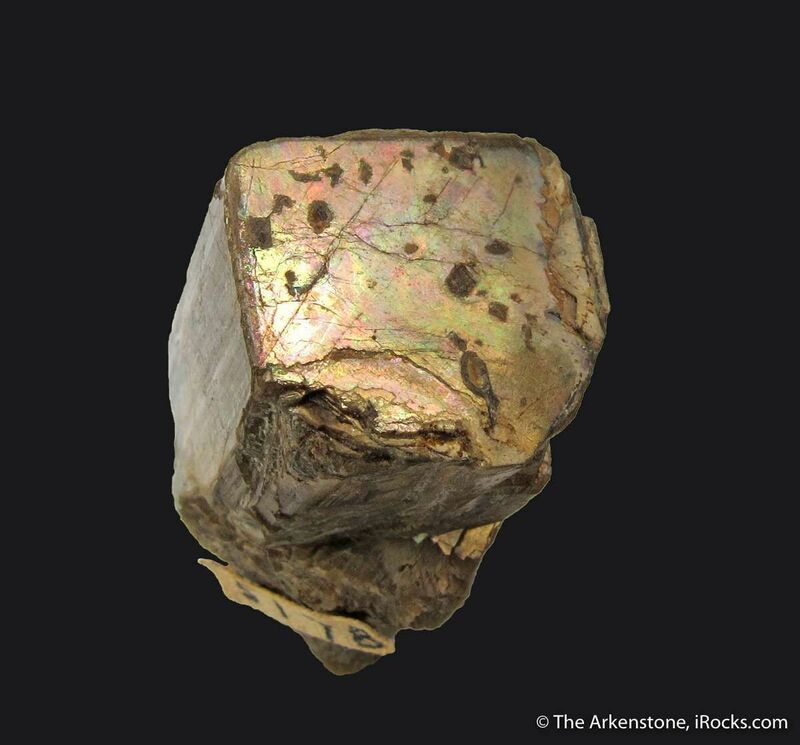 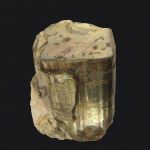 The vitreous luster on the brownish-gold crystal is almost metallic, not unlike what you see in a fine Mica. 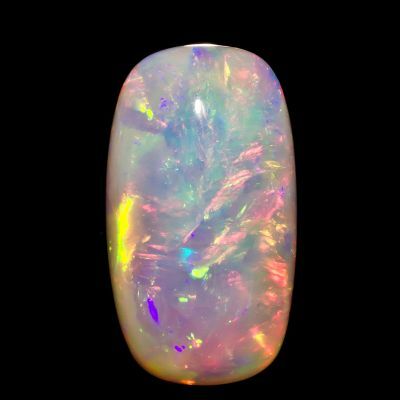 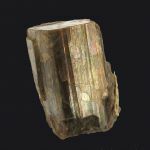 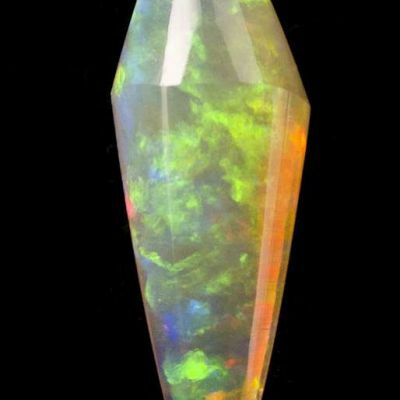 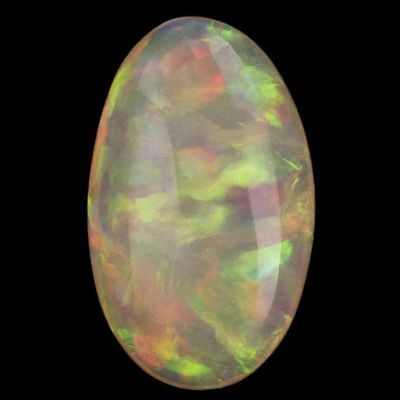 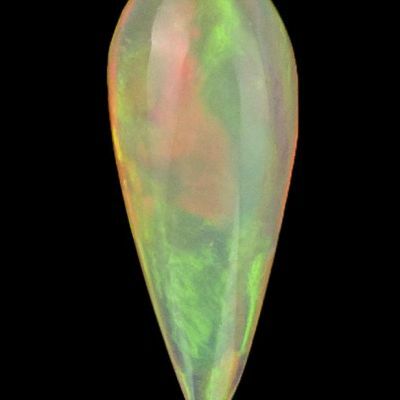 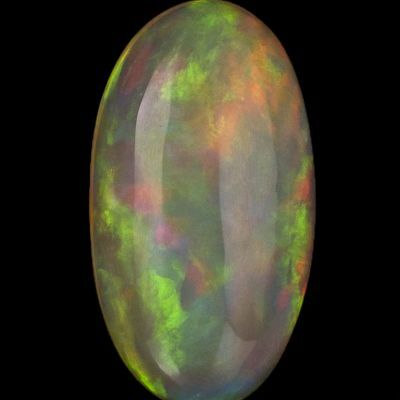 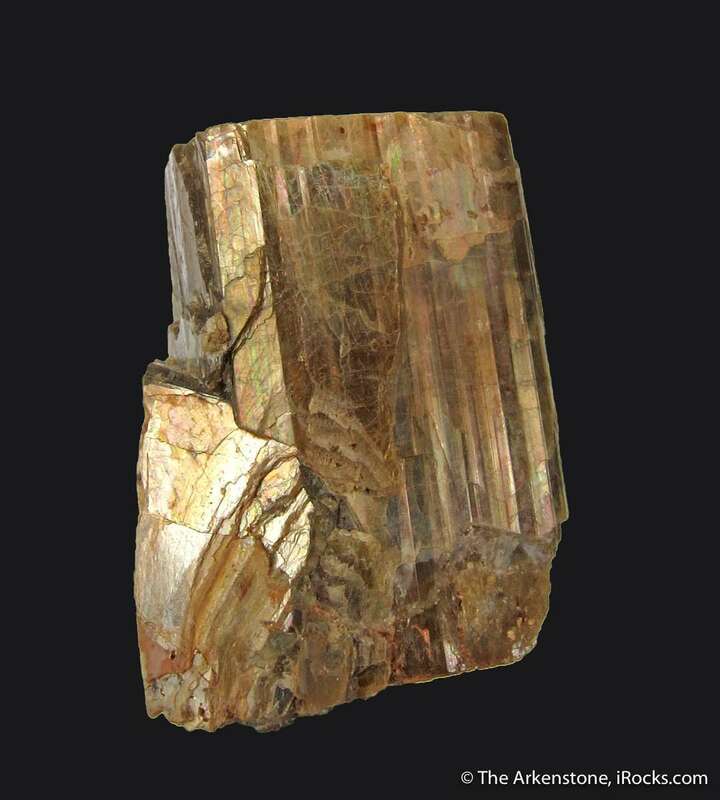 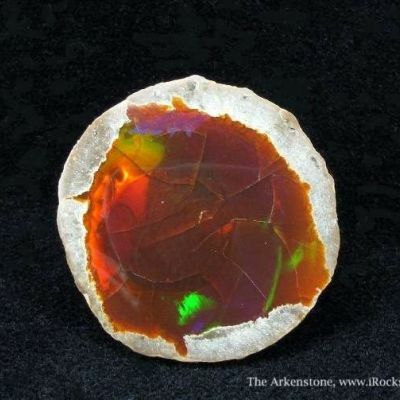 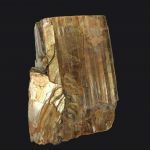 The form on this prismatic crystal is excellent, with striated faces and a very smooth termination, which may be cleaved. 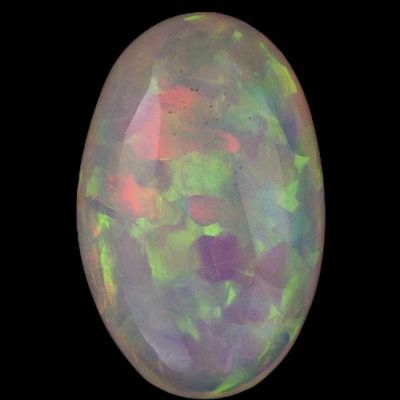 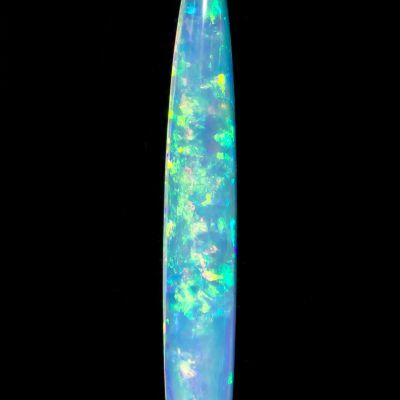 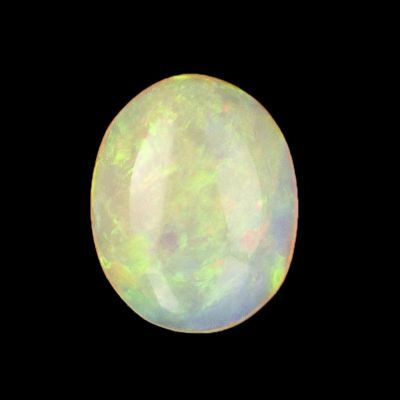 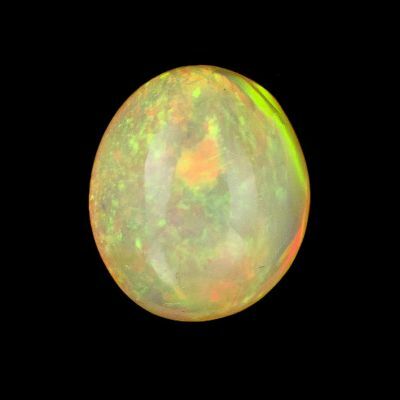 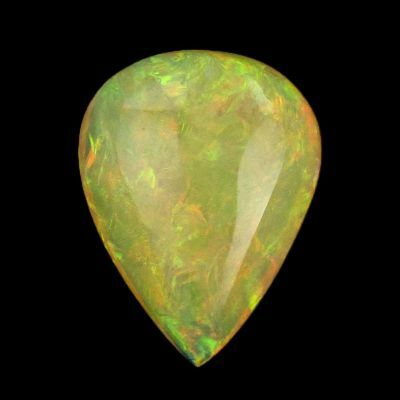 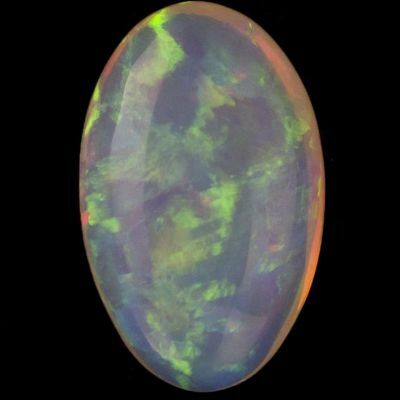 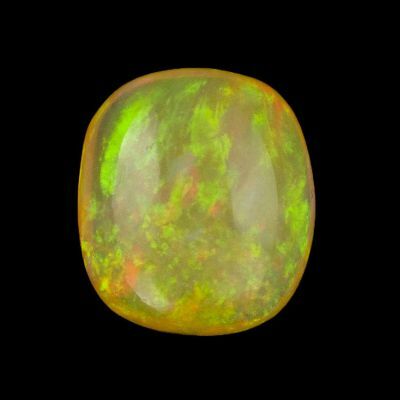 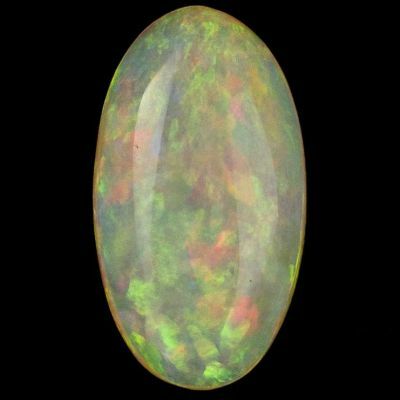 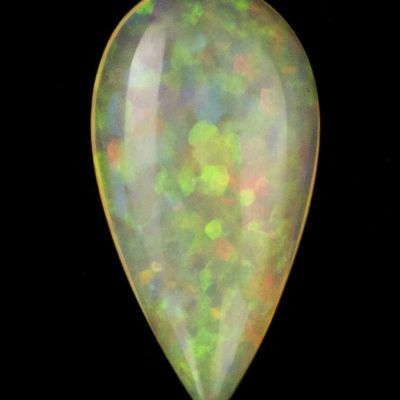 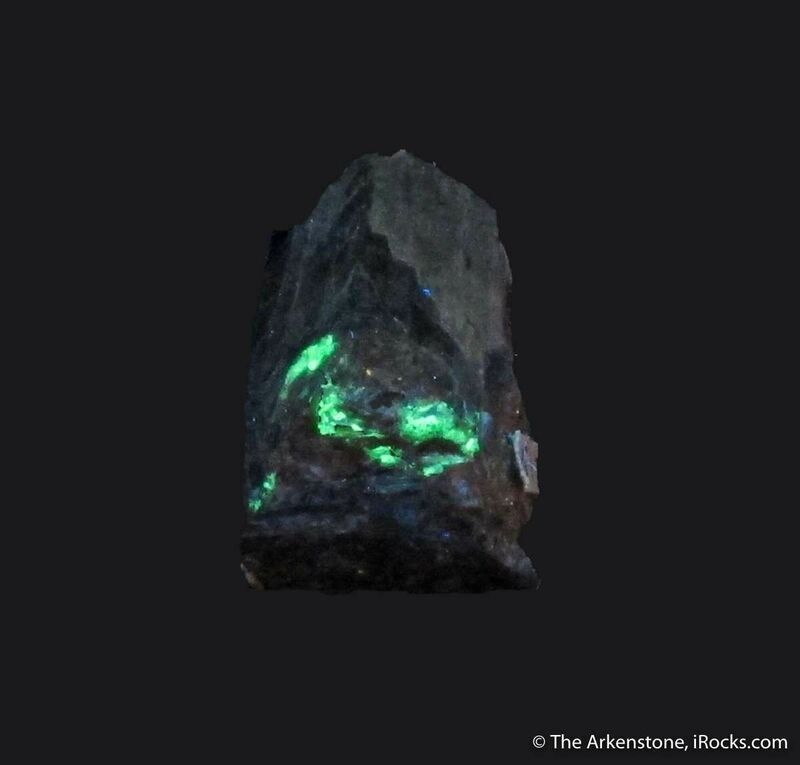 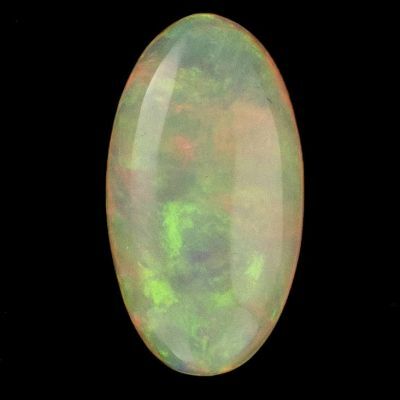 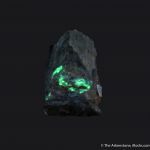 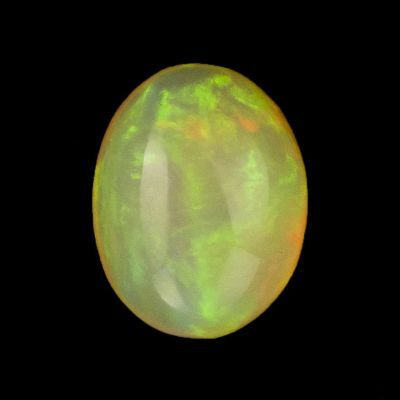 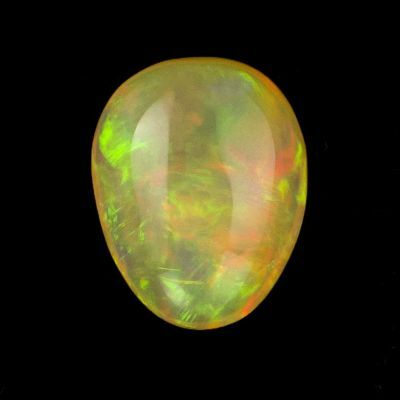 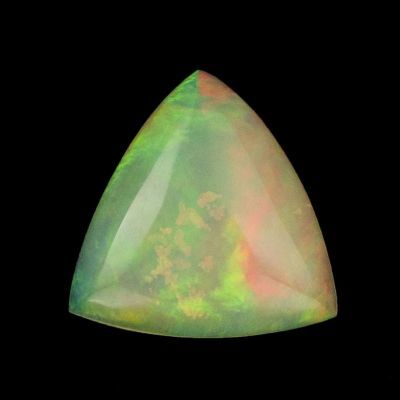 There is an unknown mineral near the base that fluoresces a bright neon green, leading me to think it is likely Hyalite Opal. 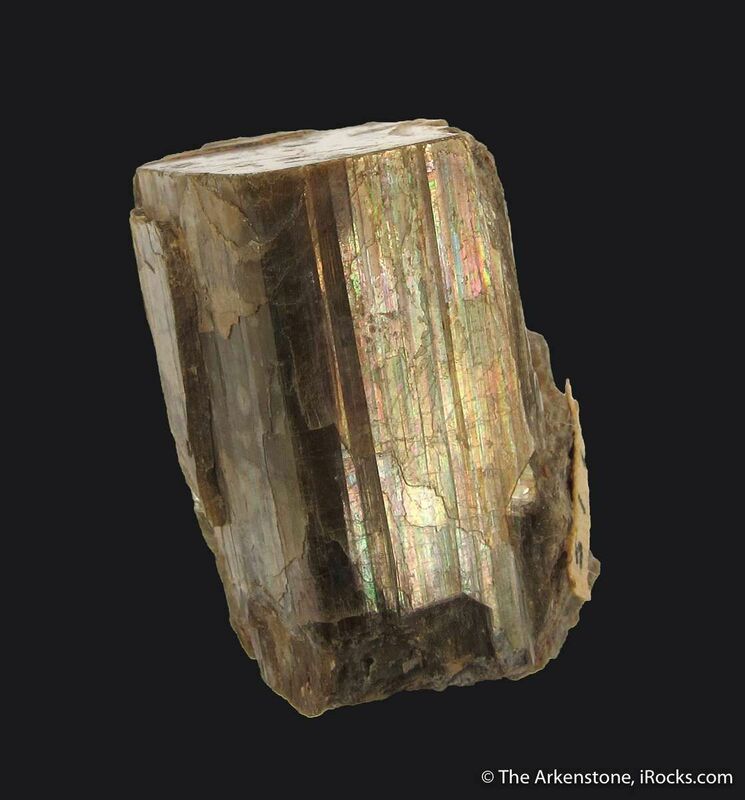 Gehlenite, an uncommon silicate, has never been so well-represented in specimens I have seen for sale. 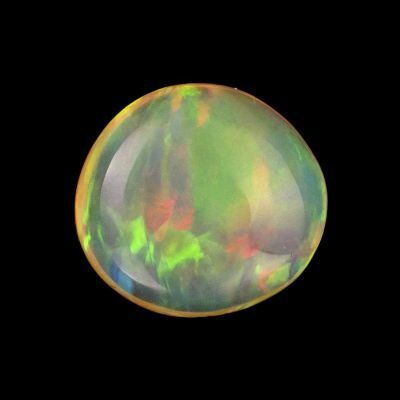 This is highly unusual, and in any case especially unusual for the USA.